Some franchises, regardless of quality, just never become very popular. One such example is the Sam and Max comic and video game series, which most people never heard of but have never played. 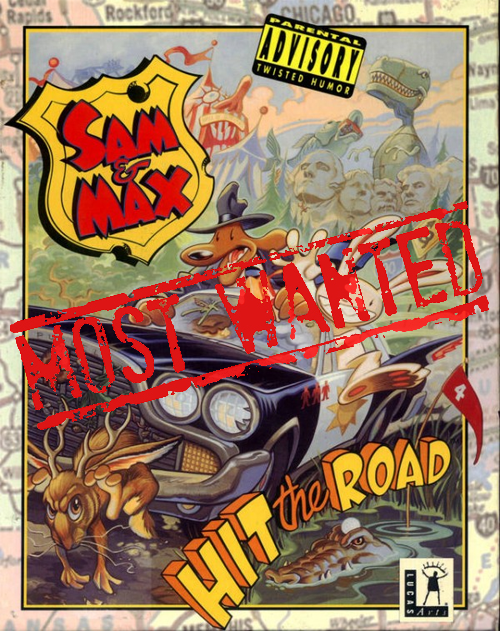 Sam and Max: Hit the Road was one of LucasArts’ classic adventure games, first released in 1994. The game was based on the late 80’s comic series by Steve Purcell, who worked at LucasArts. It featured the wacky antics of a 6-foot tall dog and a hyperkinetic rabbity-thing, a duo who called themselves the Freelance Police. The world they inhabit is wacky and unconventional while being chock full of jokes and puzzles. Recently, LucasArts have re-released their classic Monkey Island series in the XBLA in special editions featuring updated art and voices, modernizing it while retaining what made it great. Now would be a perfect time for Telltale Games, who now own the franchise, to re-release the Sam & Max that started it all.